Jamie Lawson's 'Wasn't Expecting That' snatched the No.1 spot away from Philip George in yesterday's show Listen to Jamie's reaction to the news. If you don't already know (how could you not! 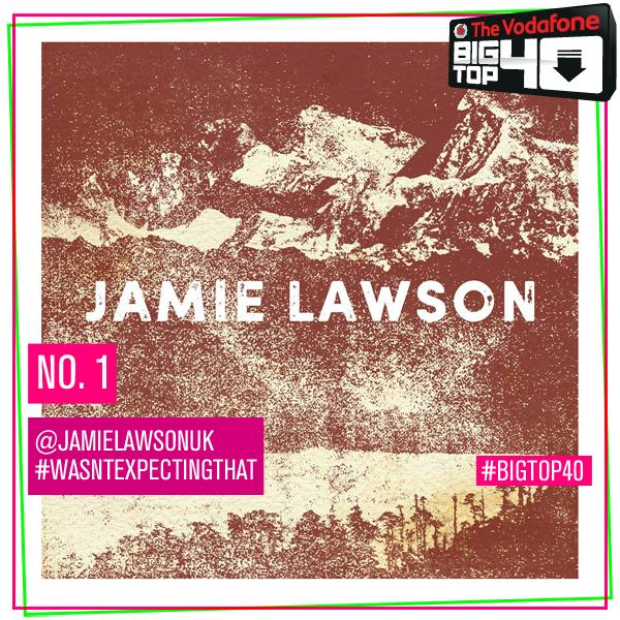 ), Jamie Lawson's heart-warming single 'Wasn't Expecting That' jumped an incredible 33 places this weekend to capture the No.1 single. The very humble chart topper revealed how he felt very 'warm' upon hearing the news of his own success. Jamie is signed to Ed Sheeran's record label 'Gingerbread Man Records' and it looks like his 'boss' was pretty pleased with the news too. Watch the incredibly touching music video for Jamie Lawson's No.1 song 'Wasn't Expecting That'.